Welcome to ismailblogger.com, I am really happy to see you here, reading my blog. In March 2018, I announced that I will be sharing a case study of a profitable niche blog that will generate at least $5k/month. but i couldn’t make it possible due to laziness,yes you can say or busy schedule. but right now i am ready as i had closed my office and shifted with my family after 8 years of bachelor’s life. Sigh. $ 5k/month Challenge- Is it Real? To those who are thinking, Is it possible to earn $ 5k a month? 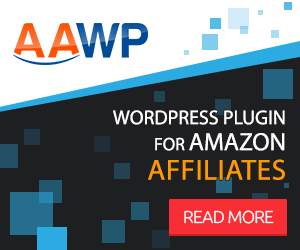 Yes, it’s already done,(even people are earning more than $5k/day) but here my plan is to share something that is easily achievable not only for me, but also for other users who want to start there own amazon affiliate blog. I will be sharing with you all the technique of how to build a niche website and how to get more traffic, starting from a scratch to a high authority site. I will also show my earning statistics and how link building works. You will also find my content strategy; information and commercial, that I design and upload to my site that drives more traffic. I will also share my personal story. And what level of dedication, motivation, time and efforts it took, and still it’s taking. i was inspired by Trung, the founder of Cloudliving, Spencerhaws of Nichepursuits and Doug of Nichesiteproject has inspired me a lot. I’ll always be in your debt. I started my Amazon journey; build my first niche site-, following there techniques and guidelines in Amazon Affiliate Program. Let me share my past, and share my plans. That’s how I get things to fix up. I was making it soon to reveal the case study, but due to new office setup, sessions, seminars, and students facilitation, I couldn’t make it on time. But luckily- here we are. In the beginning, I used to work on several projects but failed. Due to continued failure in different projects, I finally decided to shift my setup to my village as you may already know that our work only needs a laptop and an internet connection. Thank’s Ajmeel for hanging in and staying connected. when i went to village i started working on my home construction.After 5 months of hard work, the project completed, but I was feeling so tired and unmotivated that I can’t express. and so again we packed our bags and moved back to Peshawar. Rented a new office and started working on the Amazon website and Unbsuccess course for students. The real happiness, many of my students, started earning form their niche and even few of them were working as a team member. One day while making a conversation with one of my student Farooq. He showed me some exciting statistic about his one website, and I was amazed to see the results. Directly decided to work on the same strategy. We created our 1st blog with much enthusiasm, but unfortunately, I couldn’t make it possible to work on due to my sister wedding and family shifting to Peshawar. You all know that we need a reliable internet connection; I had Zong, Mobilink, Ufone network but none of them worked. I went for Stormfiber; you know what-it’s amazing and helped me a lot. After a few days I was free, and so directly started working on the same strategy on which Farooq was working. Now the 1st month is over. It’s time to share the exact details that I followed for making that website one of the authority websites in the blogosphere. On 1st December 2018, I bought the 1st PMD (Partial Match domain) on electronic niche from Namecheap with 30 dollars hosting for 1 year. Though the competition was tough in that niche, but I was analyzing the strategy that it will work or not. On 2nd December I installed WordPress and social now mythemeshop theme, along with Recommended Plugins like Wp-rocket, AAWP Affiliate plugin, and Keycdn that I generally used as it’s easy to manage, fast and reliable. So if you have money to invest, then I would suggest you go for it. Otherwise Cloudflare is the right option. The 1st article published on 3rd– December and that was purely informational. Then, 2nd article on 6th 3rd on 8th of December was uploaded, and that was going. The 1st commercial content was published on 19 December with 3k words. Here I want to share the technique that I am using on that website. I am following Doug Cunnington in informational content, planning and Unbsuccess my course that’s giving some great results to my students as well to me right at the moment. On 1st December, the site started receiving traffic, that might be the reason for our team visits from different IPs or Quora comments. On Quora, I used to do -2 comments per day. Later on, my team started to comment, and this chapter was closed. If you see the graph below, the impressions aren’t that much great, but still, I would say for a new blog it’s more than enough. I hope this month the results will be much better. I was amazed to see the 1st sale on a newly created blog. Even if you check the latest niche site project 4 of Spencer, he also shared his strategy about building an authority website, and it takes time. So, I along with my team were the lucky ones, who made it possible because making a 1st dollar is the sign that tells you that-you are heading in the right direction. So the sales boost motivated me to work more on my website, build internal links and work more on producing quality content. I am thinking of building completely manual backlinks this time and for that i will be definitely using Ninjaoutreach that is helping me in email outreaching from last several months. Well, its difficult to get backlinks within 1st month but one shouldn’t lose his/her hope, and that’s what I did. I sent emails to a different website that was ranked on the 1st page of google with different keywords that I was targeting. Interestingly, I received blog email replies/responses that I will share in the coming month case study. Please note that i will be sharing the complete strategy in coming month case study. In Total 38 article were published on our website in 1st month. The main reason was that year(2018 to 2019) was changing, and I was trying to get some ranking in 2019 with the timeroid technique of Salman Baig. 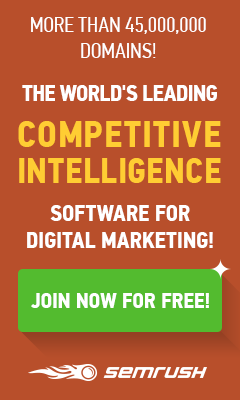 (the method that will help you in ranking by targeting future). You can read more about timeroid technique Here. And I think that it was one of the reason that I am receiving good clicks right now and this month. So for my team and me, it was a great experience, and we are delighted with our site. I am happy that timeroid technique, regular content; as four writers were on board, and Zero-Backlink strategy worked. I will share my content strategy in the upcoming case study, as we mentioned only informational content strategy via KGR technique. The basic motive of this case study is to motivate and appreciate you to focus on your work in inspire the world. Don’t forget to join Pakistani Bloggers World group for regular meetings and questions answer sessions. Well, see you next time and do share your feedback and questions in the comments. Thank you for your comment and entire support. Dear Respected Sir as i know you’re dedicated to your goals your works. Glad to hear that . you are learning from my videos ..
Amazing, will follow the Quora strategy. Great & thanks for sharing your experience Sir and looking forward to read next month case study. I just read above case study look amazing can you please shere content strategy and what is KGR technique? Thank you for visiting my blog.. yah sure in next case study. That’s quite a fresh start. Thank you for the insights. Looking forward to the followup. So nice of you.. Thank you for visiting my blog. sure will be sharing in next month case study. It is amazing, interesting and really motivational. Such a case study shows us how a newbie can be motivated to expedite his work and to learn some thing new on the part of his work. I am a newbie, but your love and work both are inspiration for me. One thing I would like to add sir, that proof reading of the mentioned case study will add more to its value. your are doing great job, we learn much more from you and hope-full might work, on such way which will be a value addition for your team sir as well as a source of pleasure for us too. Thank you for stopping here, Glad to see you are liking my work. Congrats on the quick sale! Good to find and connect with other niche site bloggers like yourself. Good luck with the success of this new site.